This is what a Jarome Iginla one-timer looks like on the receiving end. NESN reporter Jamie Erdahl posted this unique footage (below) to Vine recently. 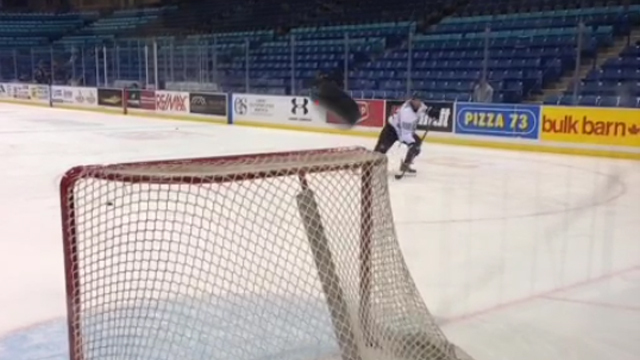 Iginla was practicing some one-timers, and shot one right at the camera.